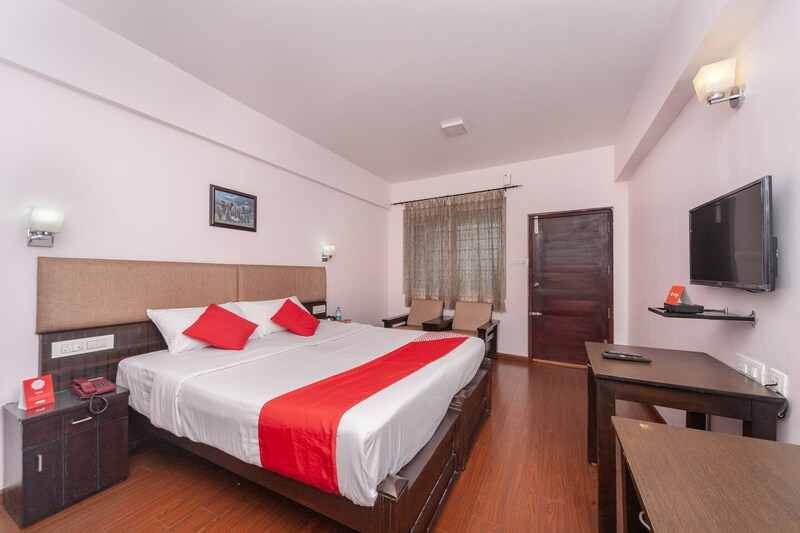 Hotel Selva Ganapathys Nest is a cozy and budget stay located in the heart of Ooty. Well-furnished rooms with wooden interiors and hygienically clean bathrooms are sure to provide comfort to business and leisure travelers alike. Amenities such as AC, TV, queen-sized bed, in-house restaurant, kitchen and CCTV cameras are provided to ensure comfort and safety. The hotel is aptly located near the marketplace. Some of the most popular tourist attractions such as Catherine Water Falls, John Sullivan Memorial, Sims Park, Ralliah Dam, Nehru Park, Lord Shiva Temple, Shree Muthumari Temple, etc. are located nearby.